In 1968 David Berg's brother, Alan, was murdered by Charles Harrelson - notorious hit man and father of Woody Harrelson. Alan was only thirty-one when he disappeared and for more than six months his family did not know what had happened to him - until his remains were found in a ditch in Texas. There was an eyewitness to the murder: Harrelson's girlfriend, who agreed to testify. Even so, Harrelson was acquitted with the help of the most famous criminal lawyer in America. 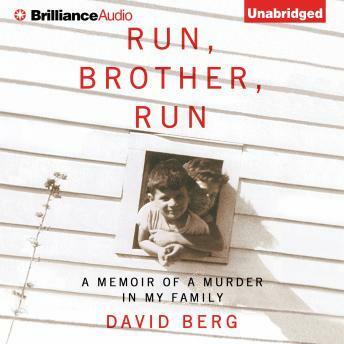 Writing with cold-eyed grief and lacerating humor, Berg shares intimate details about his striving Jewish family that perhaps set Alan on a course for self-destruction, and the wrenching miscarriage of justice when Berg's murderer went unpunished. Since burying his brother, David has never discussed how he died. But then about three years ago, details from his past crept into his memory and he began to research his family's legacy and his brother's death, informed by his expertise as a seasoned attorney. The result is a raw and painful memoir that taps into the darkest human behaviors, a fascinating portrait of an iconic American place, and a true-crime courtroom murder drama - all perfectly calibrated.